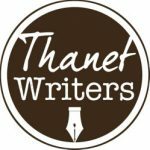 Thanet Writers launched thanetwriters.com a year ago today, making the site one year old! Today is the first anniversary of the launch of thanetwriters.com, which makes it, in a way, our birthday. Whilst there is no cake, we are celebrating as we have a lot to be thankful for. As a publisher, Thanet Writers is moving forward with exciting plans on the horizon, and you can be part of it. We are open for submissions and the Editorial Team would love to consider your short stories, poems, and articles for publication, so keep submitting your writing! There will be new contributions to thanetwriters.com coming soon, along with exciting new events. As well as running two writers’ groups each week, Thanet Writers now host two monthly groups: a poetry critique group and a performance workshop group. A year ago today, when thanetwriters.com launched, we knew we had something special, but we could not imagine how successful it would be. Over the past twelve months we have had the honour and privilege of publishing stories, poetry, essays, and book reviews by some of the most incredible writers in Thanet. Creative writers, authors, poets, journalists, bloggers, and artists have come together and built this community, and Thanet Writers would not be here without you. 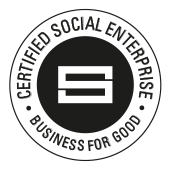 Thank you for being part of this exciting project! Thanet Writers is a community for writers, authors, and poets, offering writing advice and support, stories and poetry, reviews and news.